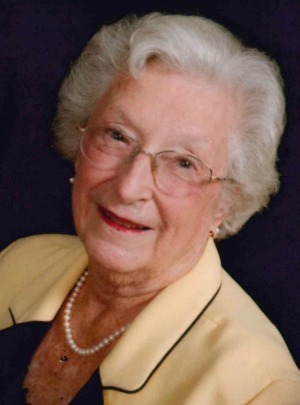 Mary Arlene Robertson, 89, of Elizabethtown, passed away on September 27, 2018 at Masonic Villages. She was the loving wife of George D. Robertson, who passed away in 2017. Born in Lancaster, PA., she was the daughter of the late Raymond and Mabel Baker Charles. Arlene worked along side her parents at their produce stand at the Central Market in Lancaster for many years, then continued working at Heagy’s at Root’s Country Market. In retirement, she loved to travel with her husband in their RV, spending many winters in Florida and golfing on notable courses. She also enjoyed their time in Europe, experiencing the local cuisines and exploring the sights. Surviving are two daughters, Brenda Kilgore (wife of Rudy) of York, PA and Cathy Zerphey (wife of Steven) of Port Charlotte, FL, a son, Scott Robertson (husband of Ann Meade Daniel) of Arnold, MD, 6 grandchildren, 4 step-grandchildren and 5 great-grandchildren. She is preceded in death along with her parents and husband by a brother, Raymond Charles, Jr. Relatives and friends are invited to attend a Memorial Service on Tuesday, October 9, 2018 at 10:30 AM at Salem United Church of Christ, 2312 Marietta Avenue, Lancaster, PA 17603 with the Rev. Roben Roof officiating. A visitation will be held from 9:30 AM until the time of the service. There will be a luncheon provided for all who attend immediately following the service. Interment will be private at the convenience of the family in Indiantown Gap National Cemetery. In lieu of flowers, contributions in Arlene’s memory may be made to Salem United Church of Christ at the address listed above.